The Grade 1 Handwriting Bundle has put everything a worried mom will need to help her child, into one package. Our handwriting bundle focuses on two aspects. The first is developing the muscles and movement patterns for pencil control. The second is a sensory-motor approach to develop the “motor maps” for letter and number formation. 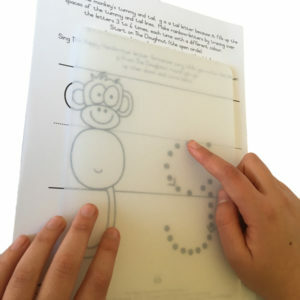 The sensory-motor approach is one of the best teaching handwriting strategies. You may be worried about your child’s handwriting because your gut tells you something is not right, or your child’s teacher may have highlighted it as a concern. This is a good starting point for you to support your child and look for improvements. Work daily on one of the muscle building activities from the Fine Motor Fun kit, or Fruit Avalanche – the perfect games to improve handwriting. 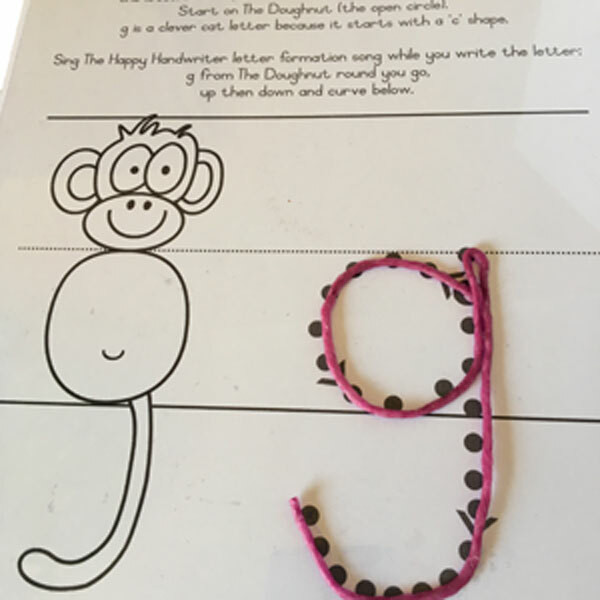 Pair that with one letter or one number formation option and include a sensory component such as building, singing, or using the texture board. Use 3 – 4 rainbow colours on the letter or number to create your rainbow-letters-and-numbers®. This repetition, along with the enhanced sensory input, assists in laying down the “motor maps” for handwriting for it to become automatic. The more repetitions using the various media, the better established and on the way to being automatic, letter and number formations will be. Once you have purchased this bundle, you may ask how often and how long should be you be working on it? My experience has shown me that if you work for 15 minutes, 4 – 5 times a week, for 6 weeks you should see a positive change. 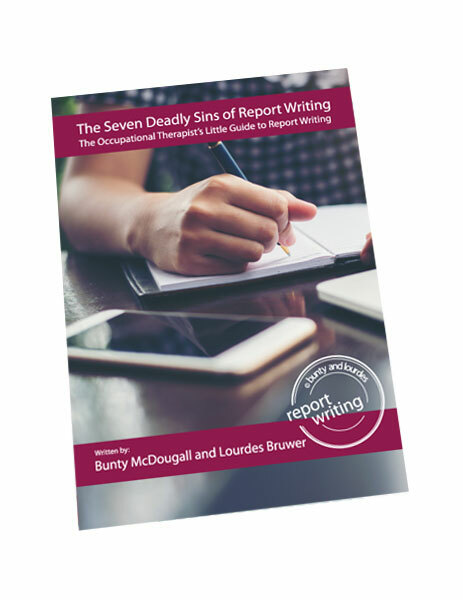 If after that you are not seeing a difference, it may be time to consider consulting an occupational therapist. Should your child already be in occupational therapy, this is an ideal way to support the therapeutic process at home if fine motor and handwriting difficulties were identified. 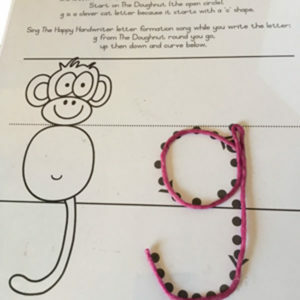 This is not a collection of boring handwriting activities and teaching handwriting strategies, it is jam packed with hours of fun that will develop skills without your child realising it. Get started today!